Welcome. You will have arrived here from Chloe’s blog. 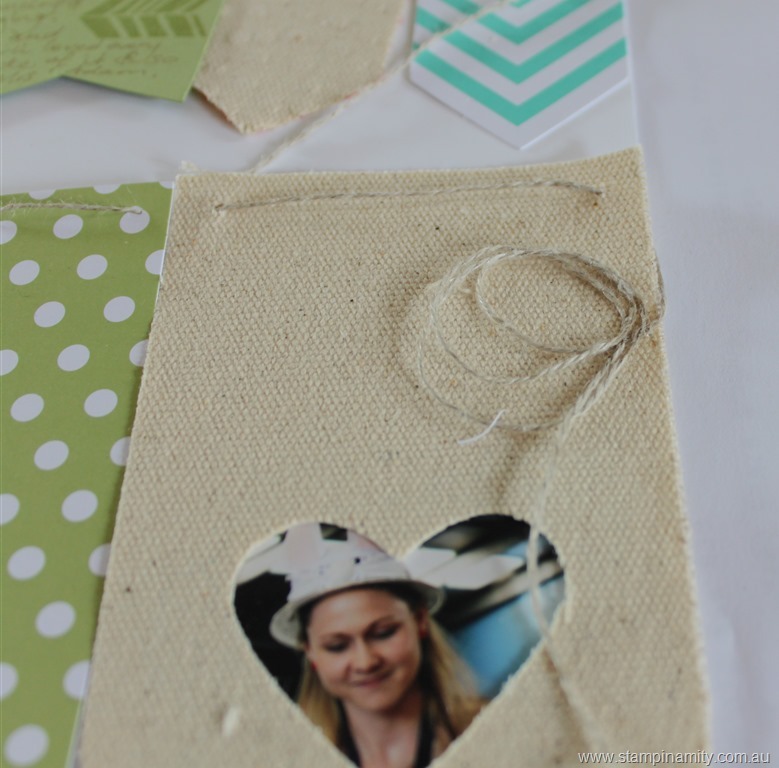 I’m sharing a scrapbooking page with you today. 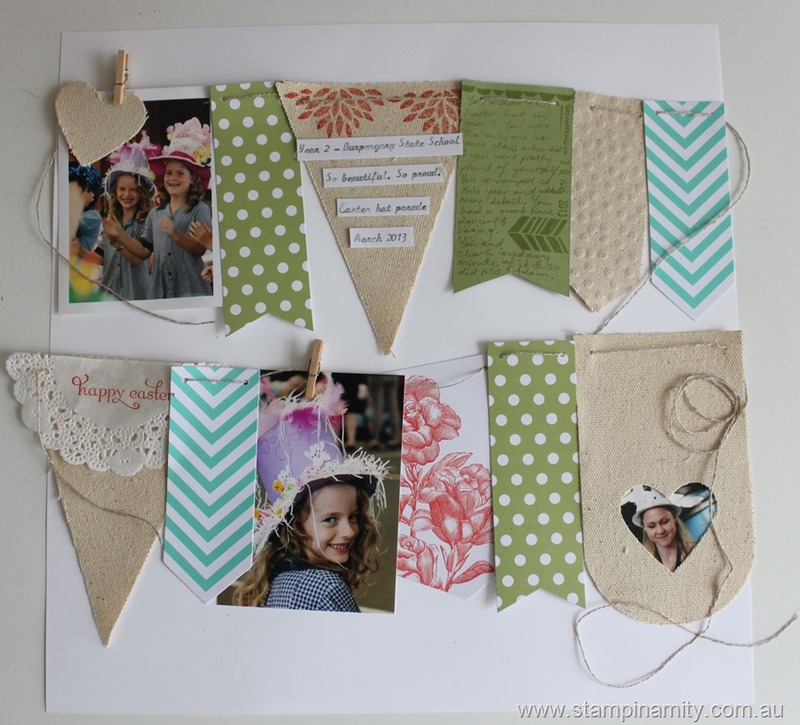 I have taken the Heartfelt Banner Kit (pictured above) and used it to create a scrapbooking page. I love the texture of the linen banner. The calypso coral stamped really well on the linen banner. I was very impressed. I used images from another Sale-a-bration freebie set call Petal Parade. This one comes with 5 stamps. It’s beautiful. I’m a sucker for an arrow. I love them for scrapbooking. This arrow images is another one from Petal Parade. You can barely see in this image the embossed linen on the banner. 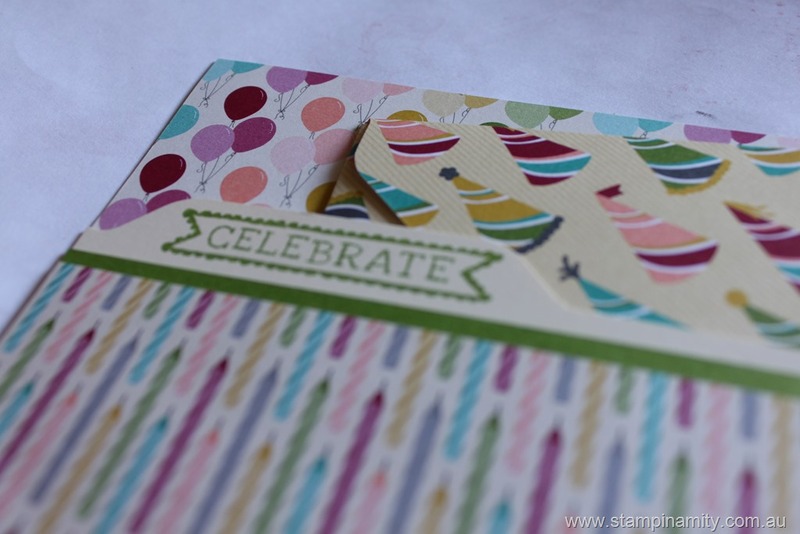 I used the freebie embossing folder from Sale-a-bration for this too. I love embossing folders. The banner kit is so great. It even comes with the twine to hang your banner and a needle! I like the detail of the swirled twine. Just add a little bit of glue to your fingers and then make the twine into a loop and will stay adhered. Tombow is amazing glue. It is so strong. It’s my glue of choice. The banner kit even comes with these cute little clothes pegs. How adorable are they? What is Sale-a-bration? Sale-a-bration runs from the 28th January to 31st March 2014 and it is a great way to earn free products. Every $90 you spend you receive a free item from the sale-a-bration catalogue. There are so many items; embossing folders, punches, stamps, card kits, the Heartfelt Banner Kit I used in this project, digital files from My Digital Studio (MDS). It is also a wonderful time to host a party because qualifying hosts get an extra $50 to spend. It is fabulous. If you would like any information on hosting a workshop/party please contact me and we can arrange a date. Your next stop is Alisha. If you get lost there is a link below for all of the blog posts in the hop. I have used this set quite a bit and I really like the way it looks on cards. I have also used the co-ordinating embossing folder on a scrapbooking page which I will share with you next week. If you would like to see how I made this card. Check out this post here. 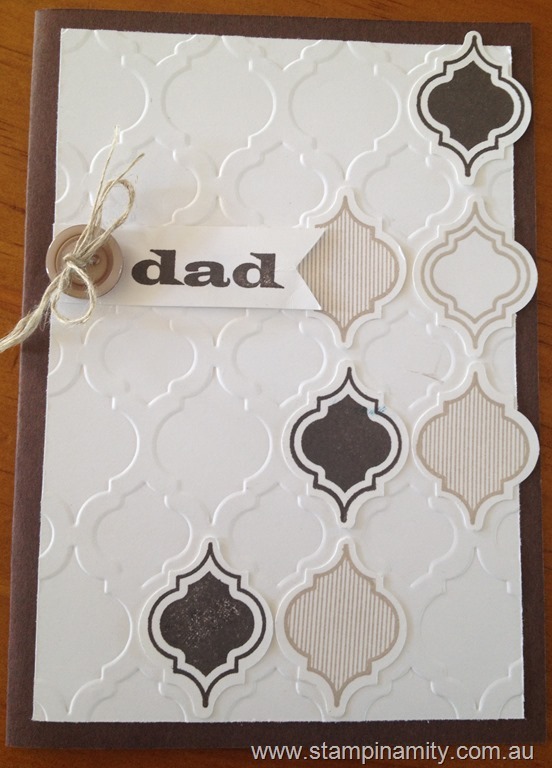 This next card is a Father’s Day card which was made during one of my kids classes last year. This was another really easy card to make, obviously because 6-10 year olds made it in my kids class but I believe the simplicity is part of its effectiveness. 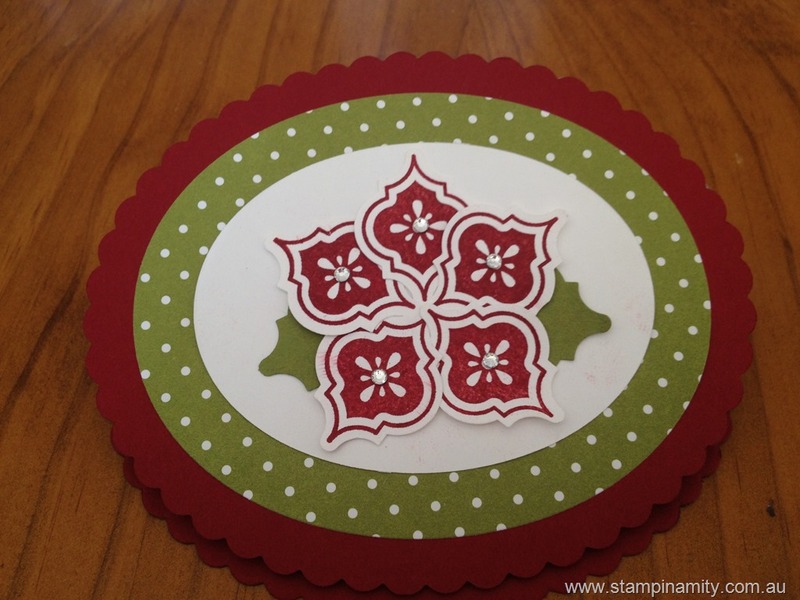 What makes this card so easy to make is the co-ordinating punch for the stamp set. You can even buy it in a bundle and save 15%. That’s awesome. Here is the link to the Mosaic Madness bundle. This Christmas card was very easily created using the Mosaic Madness bundle. I think it makes a beautiful poinsettia. Ladies in my Friday night card class created this card along with 3 other cards. This is an easel card. By now you should know how much I love co-ordinating products. I love that the Mosaic Madness embossing folder co-ordinates with the Mosaic Madness bundle of stamps and a punch. You couldn’t ask for anything easier than that. 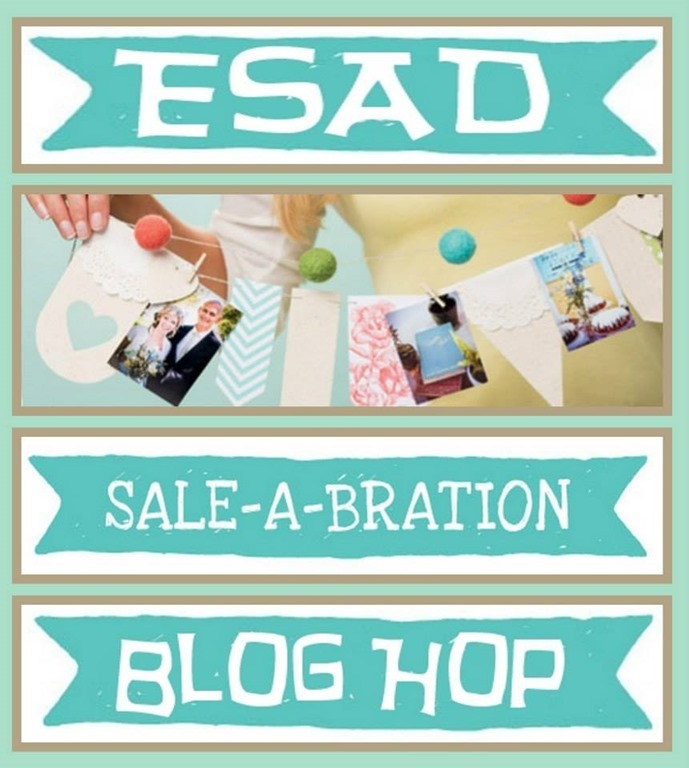 See you next week when I up date with items from the sale-a-bration catalogue in a blog hop. This promotion gives you free products for every $90 you spend. Means it’s a great time to host a party. Contact me if you’d like more information on how to host a party during sale-a-bration or at any other time of the year. Our dear little friend, Douglas (Hannah’s boyfriend), had a birthday party yesterday. I made a little birthday card. It was very simple to do. I started with a 14.8 x 10.5 cm card base in Gumball Green. I added a layer, 13.8 x 9.5 cm, of embossed whisper white using the mosaic madness embossing folder. On a scrap piece of whisper white I stamped images from Simply Stars in Gumball Green and Midnight Muse. Gumball Green would have to be one of my favourite colours. It is just so vibrant and fresh. 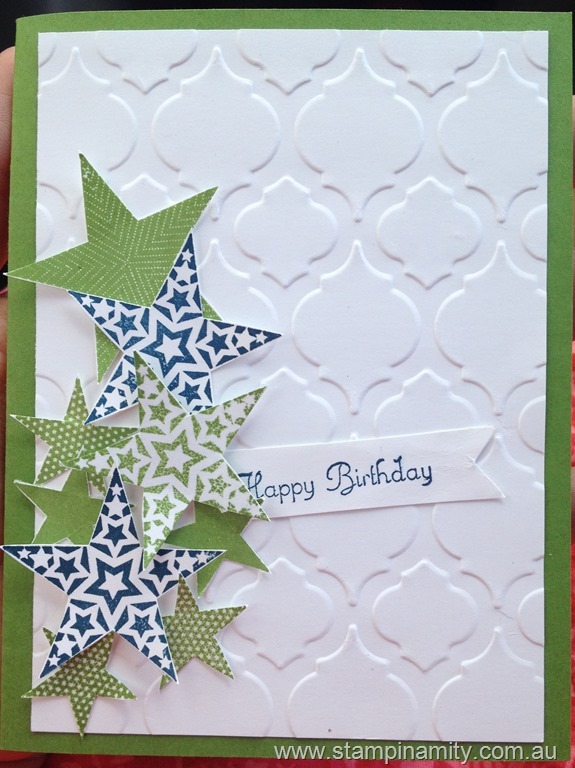 I hand cut the stars and adhered them to the card on the left hand side, just randomly scattered. I popped two up on dimensionals. There is only adhesive in the centre of the stars so there is a little lift in the points of the stars. I like the dimension this gives the stars. The sentiment is from the Create a Cupcake set but you could easily use any sentiment set you have. 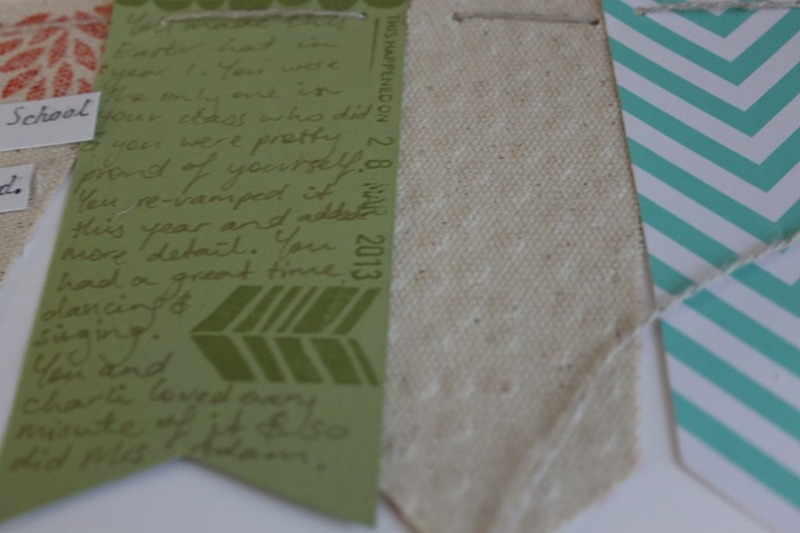 I then cut a banner in the end of the piece of Whisper White with the sentiment stamped on it. If you would like any more information on the stamps or techniques here please don’t hesitate to contact me. 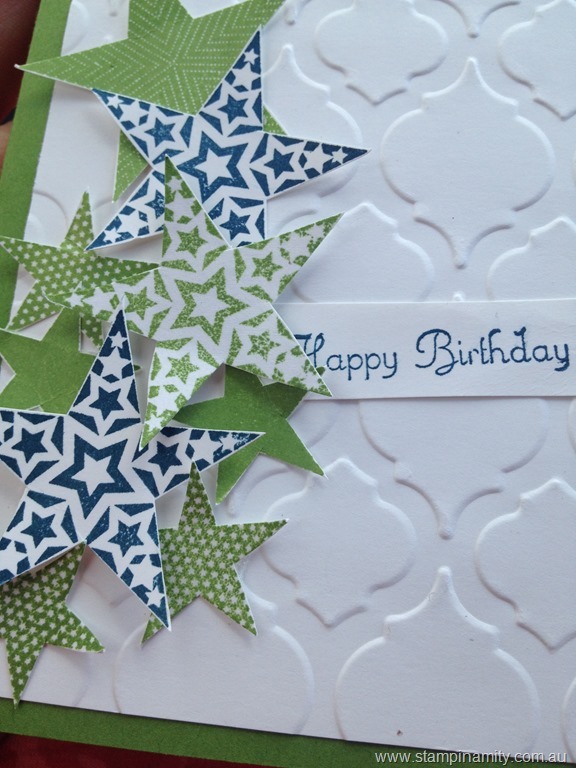 January’s class focuses on birthday cards and patterned paper (Designer Series Paper). 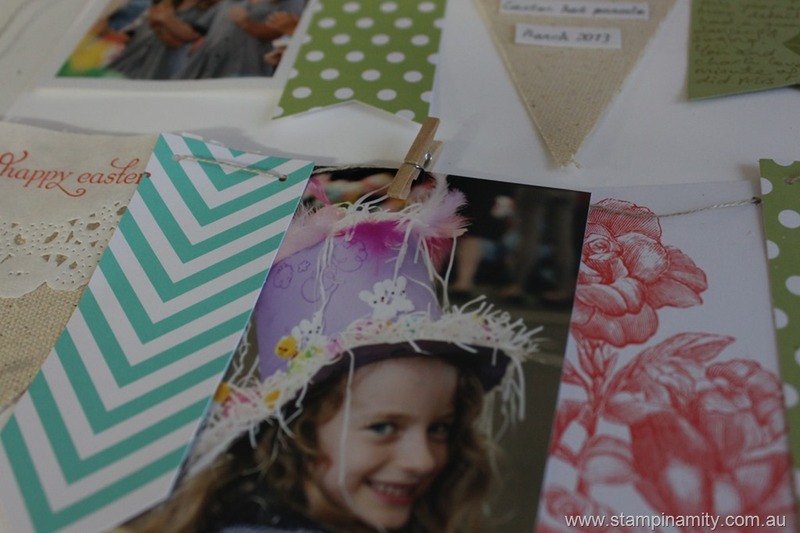 If you would like to come to January’s card class please book in as soon as possible. Places are limited and you won’t want to miss out. This is just one of the cards we’ll make. 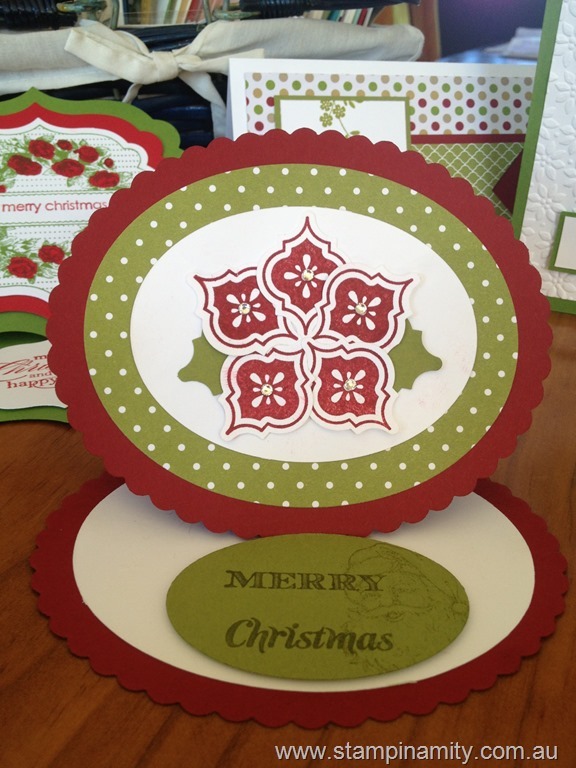 The focus of this month’s class is patterned paper and we will be using a variety of different DSPs from Stampin’ Up! This birthday card is made using Birthday Basics DSP. This class also uses the envelop punch board. In this card we use it to make the tab on the card as well as the tiny envelop to put a gift card in. I am so excited about the class this month. Please let me know if you would like to attend so I can organise your kit. If you would like to order the kit and the printable instructions ($20) please email me so I can send yours out to you. I hope you are all having a wonderful weekend and staying out of the heat.